One of the major accomplishments in our first year was that LSInc was selected as a Basic Order Agreement (BOA) awardee for the ARMY EAGLE program which is a $23B Indefinite Delivery/Indefinite Quantity (IDIQ) contract. This contract vehicle supports all Army Director of Logistics (DOL) at Army installations as well as supporting Army Sustainment Command (ASC) in the logistics functional areas of Maintenance, Supply and Transportation. Our EAGLE Proposal Team comprises experienced individuals who have worked in Army DOL’s or in the Army Installation Management Command. This is a great opportunity for us to expand our support in Army logistics. Maritime Pre-positioned Ships (MPS) LSInc has been providing support to MPS for over a year. 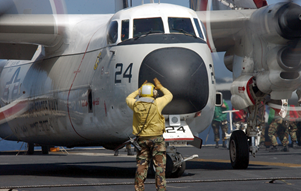 We provide maintenance and logistics support afloat to MPS in both the Atlantic and Pacific Oceans. As part of our support we coordinate all required deployment medical and dental screenings, drug testing and background checks. We also deploy each person from Home of Record (HOR) to the HTSI facility in Jacksonville, FL for shipboard operations training. Once training is complete, we deploy each individual to a designated port for link up with the supported ship. Specifically under this program we provide Ammunition Technicians, Communications Technician, Engineer Equipment Mechanic, Logistics Specialists, HAZMAT Material Handler(s) and Material Control Specialists. Army Pre-positioned Stocks (APS-3) Under this program LSInc provides afloat logistics support to APS-3. As part of our support, we coordinate all required deployment medical and dental screenings, drug testing and background checks. We also deploy each person from Home of Record (HOR) to HTSI facility in Charleston, SC for shipboard operations training. Once training is complete we deploy each individual to a designated port for link up with the supported ship. Specifically under this program we provide Shipboard Mechanic III’s and shipboard material coordinator(s). 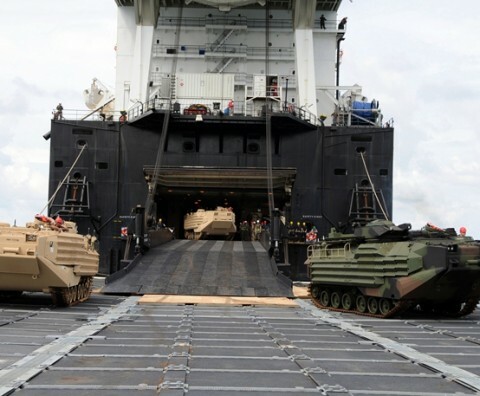 Shipyard logistics support in Jacksonville, FL LSInc provides Diesel Mechanic’s and Production Control personnel that provide support to HTSI shipyard activities in Jacksonville, Florida. We have been supporting this program for about a year. This complements the Naval Shipyard support we have been providing for over 10 years.